The city sells almost everything no stranger to garment with a humongous amount of China clothes factories sprung up a few decades ago. You’ll run into a vast array of lovely boutiques at Taikoo if you are looking for clothes in downtown Guangzhou, however, the astronomical price tag might probably drive you away as it is unbelievably high. So where should you go for clothes that can fit an average budget without compromising on quality? It is never a difficult task to find affordable clothes in Guangzhou as there are lots of large-scale, famous markets as well as shops around Guangzhou metro lines or in the neighboring outskirt of the city. The following are the top three famous garment markets in Guangzhou where you can get quality goods on a budget. The challenge, in the easy task of getting affordable fashion garment in Guangzhou, is to avoid junk during your smart search. Look out not to get imitation even in branded shops or outlet stores. Some people are targeted at replica goods while others are trying to get away from them. However, a neat thing about replicas is that they are now of much better quality, especially 1:1 quality ones than they used to be. It happened to many foreigners that after wearing the shoes or clothes after a couple of times, they tear up because of poor quality. However, one thing you should keep in mind while shopping at Guangzhou clothes wholesale markets: Changing rooms are rare. Don’t think you can change your mind and get the money back after several days or several hours of confirming the order. Now, let’s delve into these clothes wholesale markets in China. A visit to Shisanhang clothes market takes you down to the historical Xiguan area and close to Xidier electronic markets in Guangzhou and Liwan Plaza jewelry market if you are also looking for China jewelry manufacturer. The markets in Shisanhang mainly cover four main streets: Shisanhang Road, Guyi Street, Doulanshang Road and Hepingdong Road, attracting customers from all over the world. On Shisanhang Road, there are two most famous buildings including New China Building and Hongbiantian Building, both focus on China wholesale fashion clothes, sports apparel for men, women and kids. Prices differ upon quantity and quality, usually it starts from 20-200 RMB. Many other shops on Shisanghang Road with many China t-shirts manufacturers offering middle quality clothes at much incentive price. The opening time for wholesale stores is quite early, usually at around 5 am and close at about 1 pm. Guyi Street is also famous for its cheap clothes. It is a narrow street between Heping dong and Shisanhang. It is the oldest business street in Shisanhang as people have been doing business for at least 300 years, selling everything from second-hand clothes to beautiful silks. Not until 1980s does retail and wholesale business start on Guyi Street. Prices for goods on Guyi Street go from 5-50rmb. Doulanshang and Hepingdong roads comprise the rest of the clothing market. While prices are affordable here at 10-150 RMB, its reputation for quality is not so good. How to get to Shisanhang clothes markets? Spanning a few kilometers along Xianlie Zhong Lu, Shahe clothes wholesale market area consists of several clothes wholesale buildings with floors of China wholesale clothes stores tucked inside. It’s best approached from Exit B of Shaheding subway station, line 6. Most sellers on Taobao or other online market places get the clothes from Shahe. As you can see many buyers walking around with black plastic bags of clothes, and there’re many shipping agents around targeted at taobao shops, offering insanely low prices on shipping around China. For example, the shipping fee for one t-shirt from Guangzhou to other cities in Guangdong would cost merely around $0.7 dollars, and it will arrive on the second day. How to get to Shahe clothes markets? Take metro Line 6, and get off at Shaheding station. The clothes wholesale markets area around Guangzhou Railway Station is known to boast a comprehensive set of clothing wholesale buildings on both sides. On one side along Guangzhou watch market, you can find Huimei international clothes city, Jindu clothes market, etc. While on the other side across the bridge you’ll find Baima clothes market, Yima clothes market, The First Tunnel Clothes Market on the underground, etc. Best approached from subway Guangzhou Railway Station, Line 2/5. China clothes wholesale markets are great sources if you are looking for average to low quality clothes at low prices. However, for brands looking for China clothes manufacturer to make premium quality clothes, it’s better to avoid clothes wholesale markets in China. How to get to Zhanxi clothes wholesale markets? Take Line 2 or Line 5, and get off at Guangzhou railway station. What to be aware of while buying from China clothes wholesale markets? Opening time: Some markets open in the earlier morning and close at noon like 13:00pm while some markets open from 9:00-10:00am to 18:00-19:00pm. Traffic: Traffic can be a nightmare if you rent a car for a day to go to different markets. Parking and getting stuck in the road will kill most of the day. It’s suggested to go by metro or take taxi. Quality: It’s quite challenging to do quality inspection in the shops in the wholesale markets if you’re buying in bulk. Most of the shops take up very limited spaces, there’s even traffic congestion inside the markets, sometimes you can’t even move forward with the huge crowds. There’re chances that you might get some inferior ones. Sizes: Most of the clothes are only available in Asian sizes. Returning policy: Changing room is rare, and it’s almost impossible to get money back, so check carefully before going into the deal. Payment ways: Cash used to be the king in offline shops in China. However, with the popularity of wechat pay, alipay, most shops accept digital payments. But not including credit cards. Three questions to ask before buying from China clothes wholesale markets. Do Chinese wholesalers have export license? The vast majority of clothes wholesalers in the wholesaler markets in China focus more on domestic markets like taobao, or work with export agents. Seldom do they have export licenses. If you’re buying directly from them, make sure they can export for you or you have agents to export the goods. Can the clothes be relabeled? If you don’t want to sell under others’ brands, it’s better to make sure the clothes wholesalers can put on your brand. Usually the clothes with stocks feature others’ brands. Can you do quality control over wholesale clothes? The risk of getting poor quality clothes with defects is certainly not low while buying directly from wholesalers in the markets than producing private label clothes based on your specifications. i was intrested to buy woman’s summer dresses long to knee on cheap prices to sell here in italy for my shop. Hi Aftab, thanks for reaching out. Please email us service@business-in-guangzhou.com pictures, quantity, budget, etc. for reference. Thanks. Hi Bolanle, there’re instructions on the official website of Canton Fair. Hi Tusher, yes you can find it if you mean rmb. I’m looking for the latest women designer clothes copies like Zimmerman brand ? the best up to Date same season copies? Hi Nicola, thanks for reaching out. Please e-mail service@business-in-guangzhou.com about what you need, we’ll get back to you as soon as possible, thanks. Hi! I am looking for jackets of men, I am a wholesale for my country. Hi Nila, thanks for reaching out. We’ll email you. Hi Jason, thanks for reaching out. We can help with launching your clothing line. Pls send your detailed enquires to service@business-in-guangzhou.com, thanks. Hi Sally, I am planning a trip to Guangzhou in September to purchase clothing for my women’s clothing and accessory business. Could you provide assistance? I will be there for a week. Hi Iman, I wouldlike to go there too for my clothing business. How did you go? hi sally,I need both mail and phone contacts of Brazilian hair, clothing, shoes, electronics, accessories factories. I buy in large quantity as long as i find most of the things i want are available. I am sorry i only speak English. Please help, I want to buy women’s exclusive and elegant formal wear (suits) and even mother-of-the-bride suits/dresses. Hi Abigail, thanks for reaching out. Do you want to buy retail or wholesale? By writing exlusive do you have your own designs or looking for custom made private label ones? Hi Hakim, thanks for reaching out to BIG. Please check how we work http://www.business-in-guangzhou.com/how-to-work-together. Hope to receive your additional information soon. Regards, Sally. My name is Fabulous, I’m visiting China for a week, staying around La-perla (2 minutes away). And would like to know where can I find branded clothes at a reasonable prices and good quality. Hi Fabulous, welcome to Guangzhou. What kind of branded clothes? Hi I want to know where I can get variety kids swimming costumes and the best market for buying women clothing. I need both mail and phone contacts of clothing, shoes, electronics, accessories factories. I buy in large quantity as long as i find most of the things i want are available. I am sorry i only speak English. Hi, you have to source on your own, we charge a flat fee coz it takes quite a long time and hassles. Hi, I have no idea about black bag market but we do have a bag wholesale market in guihuagang. 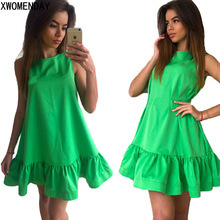 Where can I buy ladies fashion clothes, good quality, branded and non, middle price and above. I am looking for wholesale stores. please advice me at +628115931978. Hi. Im Yanga. I will be in Guangzhou on the 27th March 2018. Where can I buy branded clothes like luois vutton..gucci…channel and prada. Im looking for dresses and tracksuits. Im also looking for Brazillian hair..branded bags and shoes. Please advise..my number +27834719635. Hi Yanga, thanks for contact and welcome to Guangzhou. You can find in baiyun world leather center and also clothes markets around Zhanxi. Good luck. I am visiting Guangzhou end of March. I am looking for new-born babywear manufacturer who can make customized products. Do you have any contact? My whatsapp is +9779841908528. Thanks in advance. Hi Rebu, welcome to Guangzhou. You can find a lot from zhongshanba kids wear wholesale market. Hi, thanks for contact. My colleague will be in touch with you. Hi friend, Can you tell me how can I import the products to India after purchasing ?? Hi Bhaskar, do you have any shipping agent that specialize in shipping between China and India? You can just tell the suppliers to ship the goods to your shipping agent’s warehouse or have your agent pick up the goods. You agent will take care of all things in China some even take care of the custom declaration, or shipping in India if they have offices there. Hey sally this is Neha . Could u please help me setting up imports from China of high end branded bags, shoes , scarves,belts, cashmere … cod be original surplus stocks or high end quality manufacturing of imitations that u could not tell a difference between the real and imitations ? Hi Neha, thanks for contact. My colleague will be in touch with you. Thanks. Hi Emad, thanks for contact and welcome to Guangzhou. You can find in the markets around Guangzhou Railway station and also jiangnan dadao wedding street. Good luck. -i am from India.i want to buy a Ladies western wear nd also Mens wear so can u help me for a which market is the best in Guangzhou for this ?? cheepest price nd Etc. ord. so my whatsapp no.+91-70-698-70-331 okey.plzz Help me. -i am from India.i want to buy a Ladies western wear nd also Mens wear so can u help me for a which market is the best in Guangzhou for thais ?? cheepest price nd Etc. ord. so my whatsapp no.+91-70-698-70-331 okey.plzz Help me. Hi Henil, thanks for contact. As I’m not sure about your requirements on style, budget, quality, etc, I can’t say which one is cheapest but most western style clothes markets are around Guangzhou Railway Station. Good luck with sourcing. Hi Adnan, thanks for contact. My colleague Kevin will be in touch with you regarding clothes factories. Hi Praveen, thanks for contact. We’re not cloth supplier and even if we are it’s hard to give you a rate without knowing your requirements.